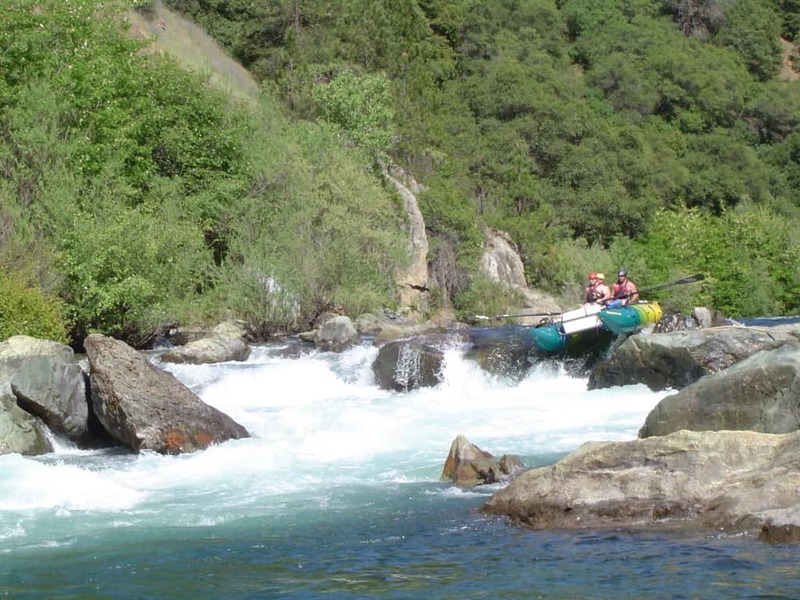 Much like the "North Fork," there is really only one "Middle Fork" in California, and that is the Middle Fork of the American. This very popular run involves the Class IV+ Tunnel Chute and some other great rapids. There are several other less popular sections of the Middle Fork that are worth exploring. This is quickly becoming the most popular Class IV run in California for three reasons. 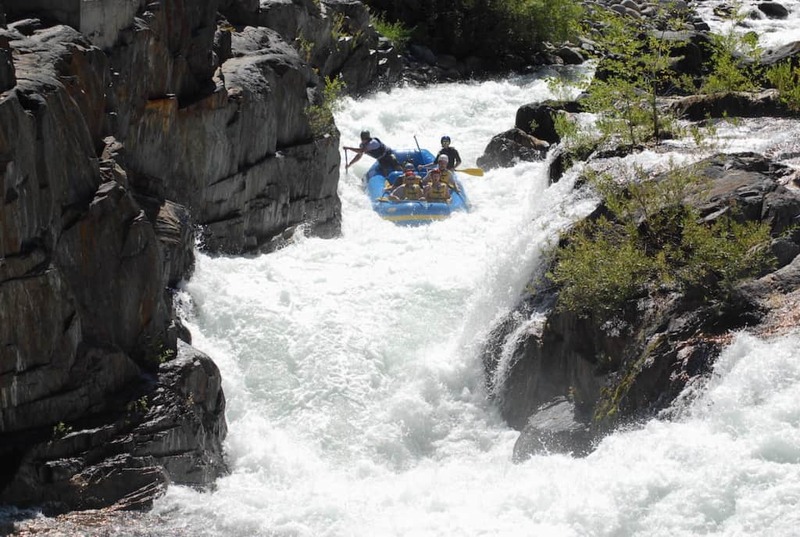 It is so close to Sacramento and the Bay Area, it has very reliable water flows during the summer months, and Tunnel Chute is an amazing rapid. The Middle Fork of the American starts off with some great Class II and III rapids before it gets to Last Chance and Tunnel Chute. Here, the river was diverted from an oxbow and sent through a tunnel so that miners could mine the oxbow without the pesky river in their way. The tunnel is quite benign, but the chute that was blasted to divert the water through the shuttle makes an awesome rapid. Last Chance is a sticky hole right above Tunnel Chute that surfs rafters that don't take it seriously. Below Tunnel Chute are some more rapids highlighted with the Class IV+ Kanaka Falls. This is a serious rapid that should be scouted by first timers and should always be paid respect. Below here is a long section of fun Class II rapids that ends with Chunder which is a fun five or so foot drop. Just past Chunder is Ruck-A-Chucky, a 30 foot waterfall that is normally portaged. There is a great ghost boating option that involves all kinds of adventure. Once you are done with your portage/ghost boat, you'll run one of the best sections of whitewater anywhere including the rapids Cleavage and Texas Chainsaw Mama. The take-out is the former location of Greenwood Bridge where you'll drive up Driver's Flat Road. This is a great beginner run just below the Tunnel Chute run. This is a fun one for beginners because it has great blackberries is away from roads. Be sure to take out at Mammoth Bar because just below here is Murderer's Bar, a dangerous Class V rapid. 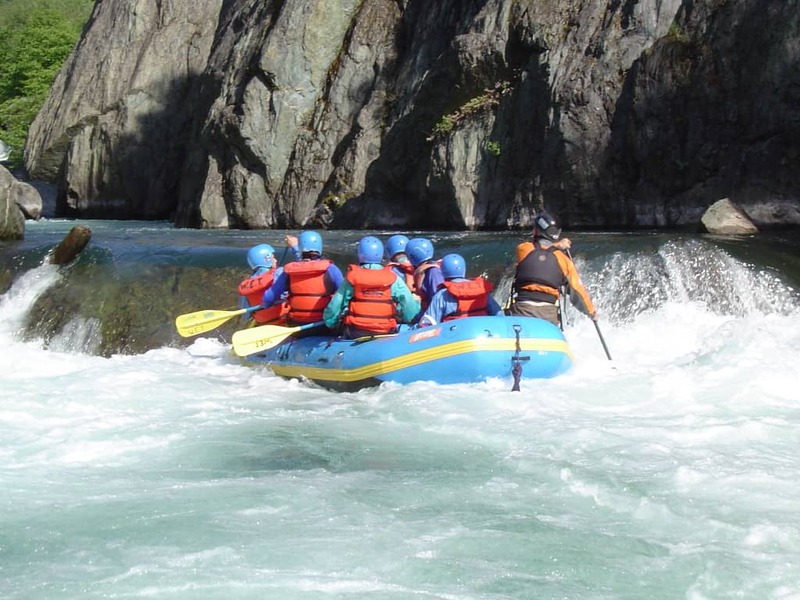 If you decide to venture below Mammoth bar and portage Murderer's Bar, there over two more miles of Class II and III rapids before reaching the confluence with the North Fork of the American. Mile 0: Put-in at Oxbow Bend below Ralston Powerhouse. Mile 2.5: Tunnel Chute (IV+) is a chute cut into the rock that was blasted by miners to de-water an oxbow in the river for mining. After the chute the river flows through a large tunnel. There are several miles of fun Class III rapids below here. Mile 5: Kanaka (IV+) is a long complicated rapid. Below here is a 9 mile section of Class II Rapids. Mile 14.3: Chunder (IV) is a fun drop just before the portage at Ruck-A-Chucky (VI). Mile 14.5: Ruck-A-Chucky (VI) is normally portaged or lined. It's a big drop with sieves all around and rumor has it there is rebar in the water here. Mile 14.7: Cleavage (IV) is the first drop you run after Ruck-A-Chucky and is a great place to surf rafts. There a couple miles of great Class III and IV rapids below here. Mile 16: Take-out on the right side at the former Glenwood Bridge site.